In just a few years, Linkstar professional flash systems and accessories have become a huge success in the Netherlands! Great value for money and good quality, and the specifications needed for professional use, make these studio flash systems suitable for multiple target groups: from low-end solutions for budding hobby photographers or companies that want to take their own product photos, to experienced professional photographers. 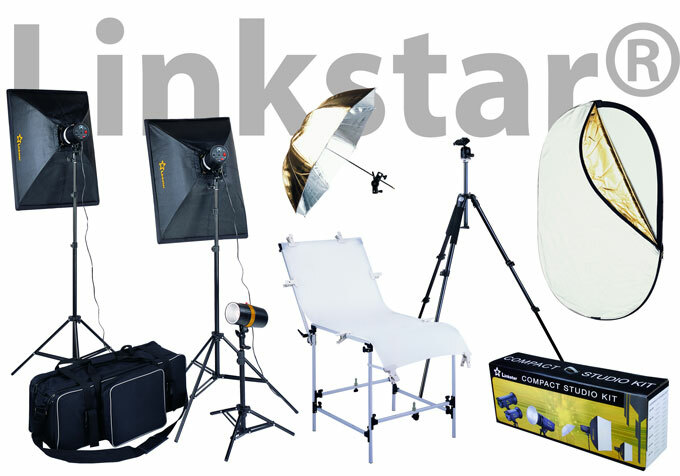 The Linkstar product range offers everything a professional photo or video studio would need other than the camera. This includes studio flashes, softboxes, umbrellas, tripods, background systems, photo tables, daylight lamps, flash triggers, reflection screens and much, much more. The Linkstar flashheads have the same S-bayonet connection as Bowens, Walimex and Lastolite, which makes the wide range of Linkstar flash accessories immediately usable on these brands. Linkstar also offers many adapters for making the flash accessories compatible with popular brands such as Elinchrom, Hensel, Broncolor and Multiblitz.